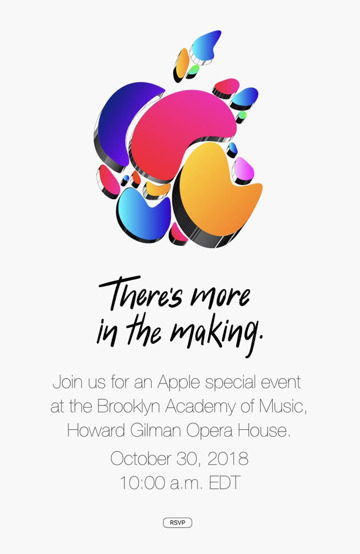 Distributed at 12pm Eastern on Thursday, the invitations reveal the event will take place in New York City at 10am on October 30, held at the Brooklyn Academy of Music, Howard Gilman Opera House. 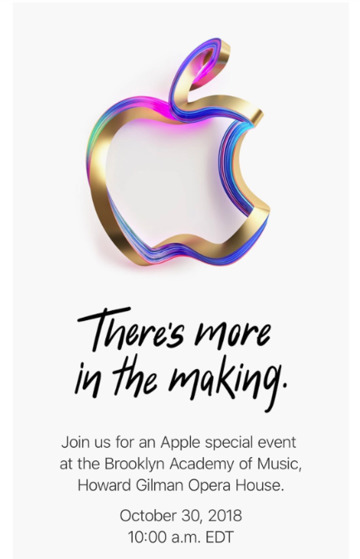 Along with the teaser text advising "There's more in the making," it is noted that not everyone received the same invitation. 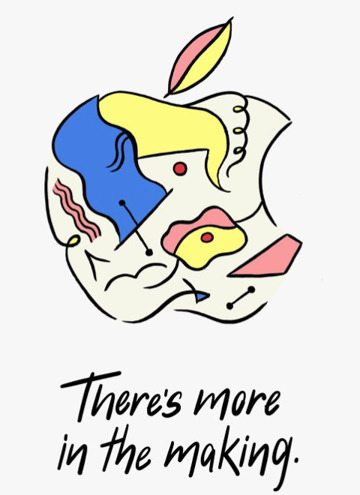 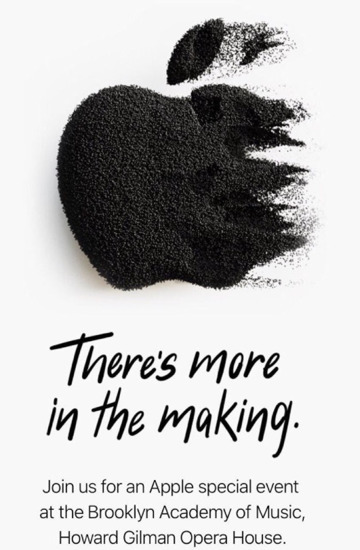 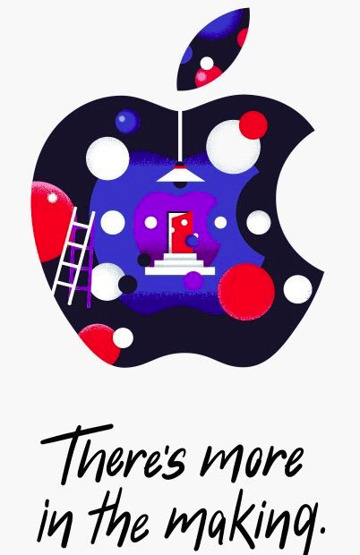 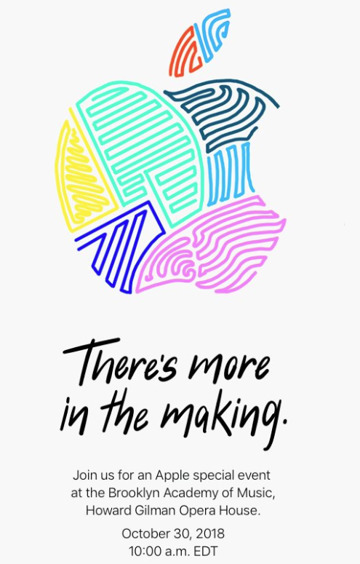 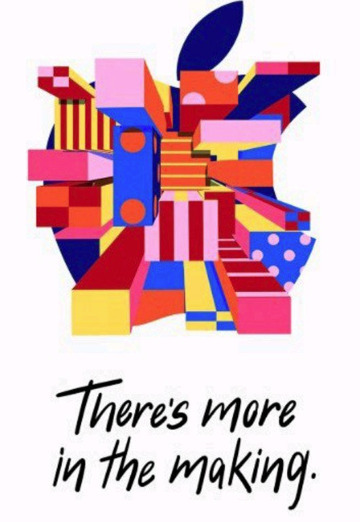 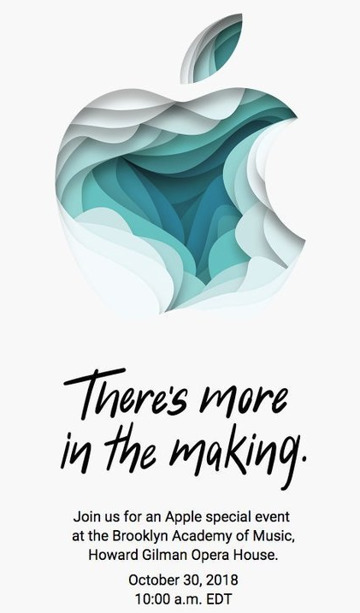 Shared images of the invitations on Twitter reveal a number of different designs for the Apple logo are being used to promote the event, suggesting the theme for the event could be art related. 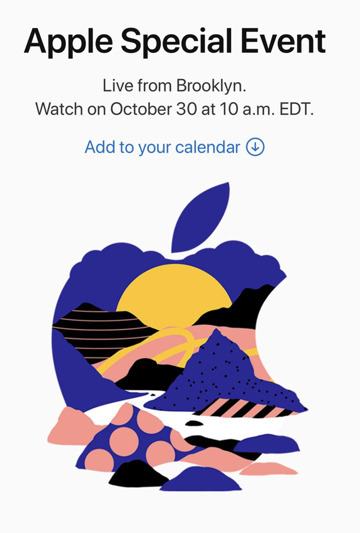 Apple has historically given seven or eight days notice before an October event. 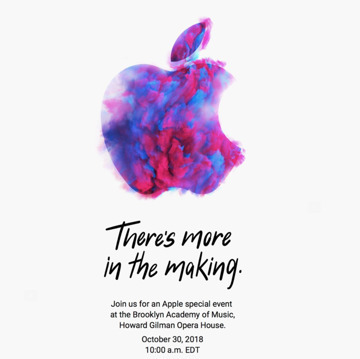 The company hasn't given more than that for a fall event since Steve Jobs was CEO. 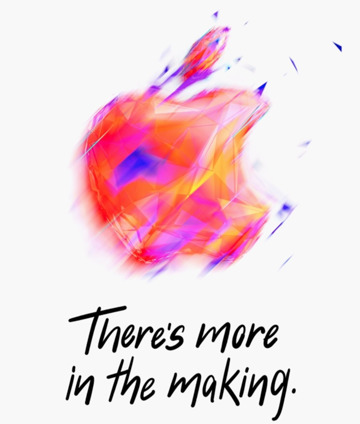 AppleInsider will be bringing you the reveal of whatever Apple releases, live from the event. 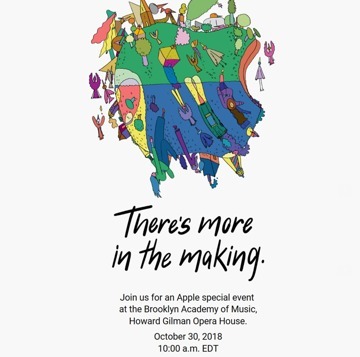 Only Apple knows what it will reveal at this event —but there were so many rumors before the September one that Apple could just mop up what's left. 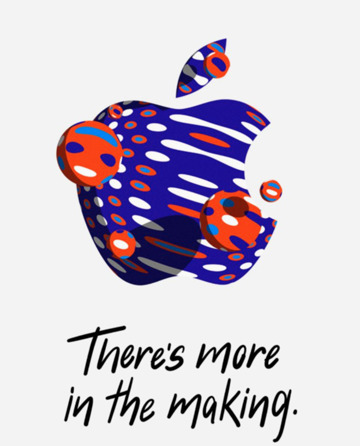 Sources who got the details right about the new iPhones and Apple Watch Series 4 continue to point to there being specific releases up Apple's sleeves before the end of the year and this is the event to reveal them in. 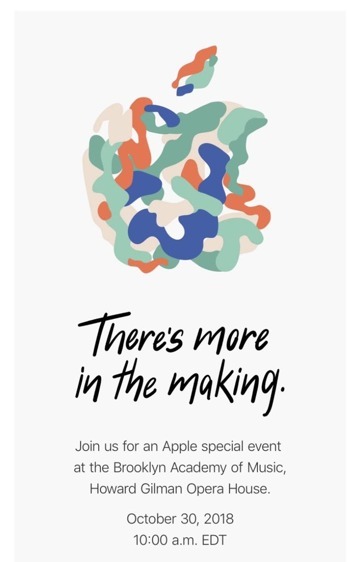 New iPad Pro models are expected at the event. 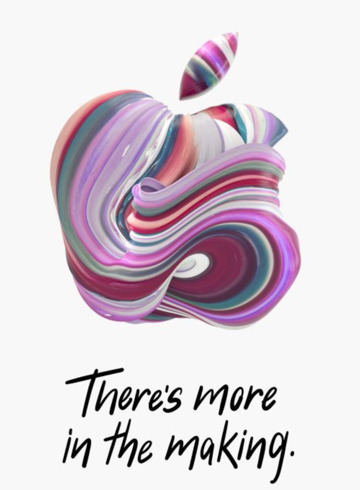 Rumors suggest the new iPads will take on design elements from the iPhone X such as the drastically reduced bezel around the display screen. 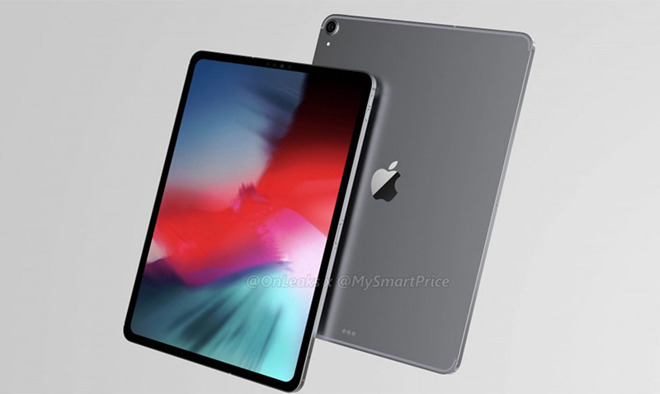 Alongside this, analyst Ming-Chi Kuo claims that the iPad Pro will come in an updated 12.9-inch model and a brand new 11-inch one. 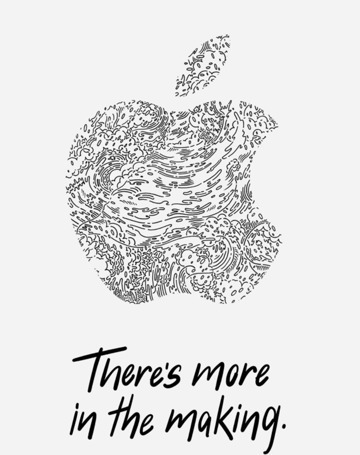 Although this is not as solidly backed up as the iPad rumors, several rumors claim that there will be a refreshed iMac. 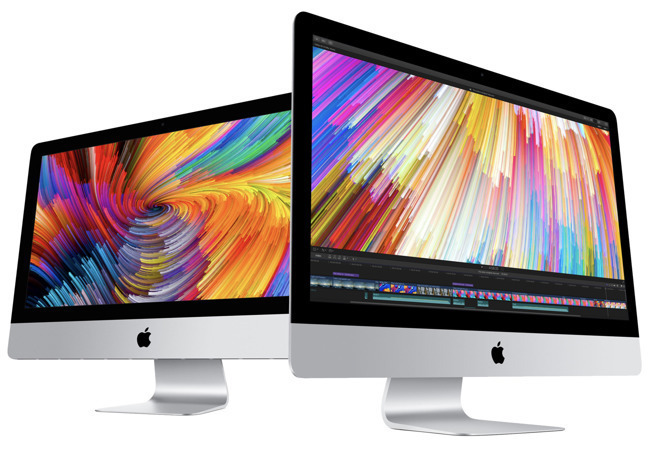 It's specifically said to have an improved screen and, possibly supporting this idea, earlier this month Apple informed its stores that its supplies of some existing iMac screens were low. 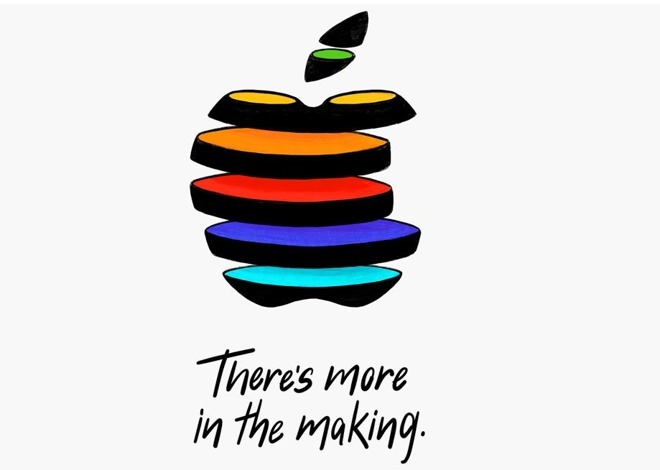 Apple's other desktop, the Mac mini, is similarly rumored to be getting updated with a "professional" remake, but more attention from the mainstream consumer is being focused on the claim that there will be new —and cheaper —MacBooks. 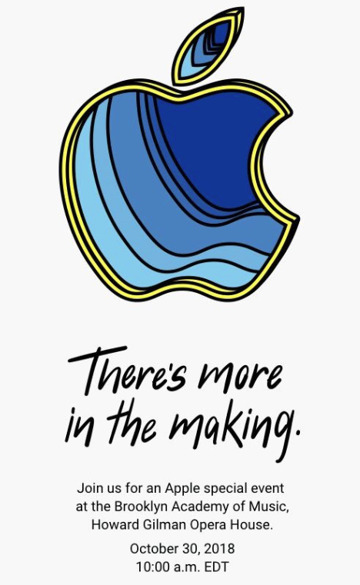 We've stuck to where there is at least decent evidence of a new product coming. 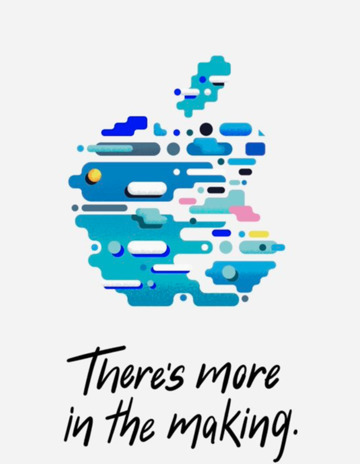 Other rumors suggest that HomePods, AirPods, and presently vaporware AirPower are all conceivable with the former two being outside possibilities.